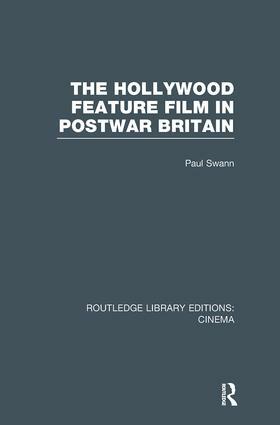 When this book was originally published in 1987, the American feature film had been colonising the world’s imagination for over 75 years and the book studies that experience in Britain, where American films have always dominated cinema screens, both commercially and intellectually. The timeframe is the decade after the Second World War: this was a time when the British accommodated themselves to a declining role in world affairs and became in many respects a client nation of the United States. Part of this changing status was tied to the manner in which American popular culture was rapidly assimilated into Britain’s own indigenous traditional folk and popular cultures. The American feature film, arguably the most influential, and certainly the most pervasive, of these mass forms, was part of this process of cultural exchange.